So who is excited about this one? I know I am! I was lucky enough to see a Tory Burch FitBit first hand this past week at Blogger Bash and I can SUPER excited about this. I have yet to jump on the FitBit bandwagon; I’ve tested a few out before but nothing’s hooked me onto it yet. But this past weekend, I noticed multiple bloggers wearing FitBits and I’m starting to really see the value in it. Especially as someone who works out often and tracks calories, I am not sure why I didn’t pick up on this before. With the release of the new Tory Burch FitBit, I really have no excuse! Because not only is this FitBit functional as a health and fitness piece, it’s CUUUUUUUTTTTE as can be on your arm! Here’s the release on FitBit’s blog about it from last February. They said they would be available in the spring but it’s obviously a little bit delayed. 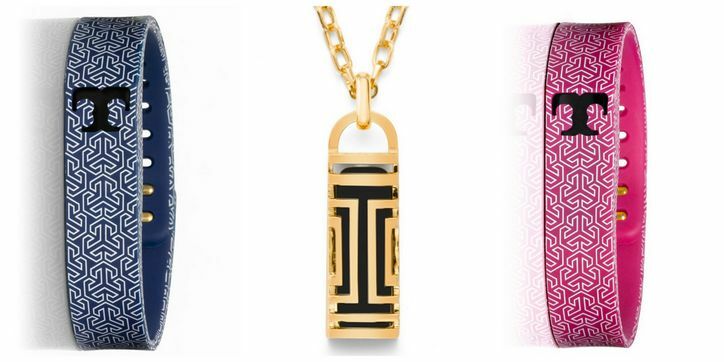 You can pre-order from the ToryBurch.com site now. The Fitbit Flex is $99 and the Tory Burch bracelet cover is $38. I bought the pink and blue Tory plastic bracelets. Had them for a little over a week, when, the “clasp” malfunctioned and the bracelet/Fitbit were both lost. It appears that this is a very common problem that both Tory and Fitbit need to address.